Truck Accident Wrongful Death & Personal Injury Lawyers Temple City, California! Temple City Personal Injury Lawyers with 40 Years of Experience and Better Than 95% Success Rate! With experience of more than 40 years and thousands of injury claims successfully handled with over a 95% success rate in wrongful death and personal injury claims in Temple City, Los Angeles and all of California, we are a group of expert attorneys, serving in Temple City, California. Our Temple City truck accident lawyers strive for maximum monetary compensation and guide our clients through complex formalities and procedures, including time deadlines and the statute of limitations, involved in their pursuit of their injury claims. Our injury lawyers and law offices endeavor to live-up to our clients’ expectations and assist them in the best way possible. Just call us now at 818-222-3400 or 1.866 INJURY 2 (after hours dial “1”) for your FREE consultation and case evaluation. Vehicle Repairs: Vehicles are likely to bear huge damages in bad Temple City truck and car accidents. Mindful of this fact, our truck accident lawyers help our clients with vehicle repairs including towing, storage, free rental and repairs to the extent possible. Medical Care: In many truck traffic road accidents, serious injuries are likely to occur. We assist our clients find and get to needed doctors and other medical experts. These medical experts provide necessary treatment without expecting payment until your case is resolved. Cash Advances/Emergency Loans: Truck and car accidents can bear adversely on your financial state. Medical bills mount up and often earnings are reduced. Thus, we assist you in procuring emergency loans and advances, as appropriate. Transportation to Doctor: We arrange medical visits for our clients and find transportation there and back as well for them. If you had a truck or car accident with an injury, contact us now for your FREE & CONFIDENTIAL personal injury consultation for Temple City, CA. Just click here to use our simple fill-in the blank form. Further, visit our lawyer profiles to know about the experience of our expert wrongful death attorneys. Further, know about the procedures and formalities involved in handling wrongful death claims. Look through our Truck Injury Accident Web Site and for specific advice about your particular truck accident injury or death case just call us now at 818-222-3400 or 1.866 INJURY 2 (after hours dial “1”). Remember, our consultation is absolutely FREE and on injury accident cases our lawyers work on a contingency basis. That means there is NO fee until you WIN and then the fee comes out of the recovery usually paid by the other parties’ insurance company and not out of your own pocket! Many truck accidents occur in Temple City, causing serious injuries and major property damage. A city located within Los Angeles County, California, Temple City has a total population of 35, 558 according to the 2010 US Census. Also, Temple City stretches across a total area of 4.0 square miles. Temple City forms a cluster of cities, which include Rosemead, San Marino, San Gabriel, Arcadia, and Monterey Park. 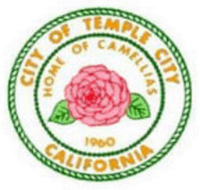 The annual Temple City Camellia Festival is celebrated in the city so Temple City is widely acclaimed as the "Home of Camellias." Additionally, the Saint Luke’s Festival is celebrated as an annual event with great pomp and show. 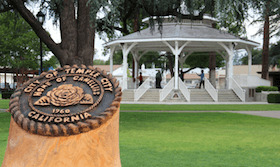 Similarly, the Harvest Hoedown & Craft Fair is conducted in Temple City Park. Further, the Performing Arts Pavilion entertains locals and visitors alike with popular summer concerts. Moreover, each October families in Temple City relish the Halloween Carnival as well. Some of the popular museums in and also around Temple City, Calif., are the Latino Museum of History, the Los Angeles County Museum of Art, the Natural History Museum of Los Angeles County, and the Los Angeles Children’s Museum. Some other places of tourist interests in and around Temple City are the Angeles National Forest, Santa Monica Mountains National Recreation Area, and the Los Padres National Forest. More than 40 years membership with the California State Bar. Winning with a success rate of over 95% in our personal injury & wrongful death accident cases! 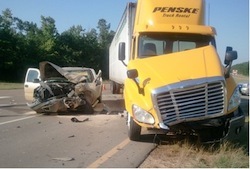 It is easy to contact our Temple City and Los Angeles truck accident injury lawyers. That’s right – we want you to be able to the fight insurance companies and not just take whatever they may decide to give you so we only charge a fee and get paid if and when we win!